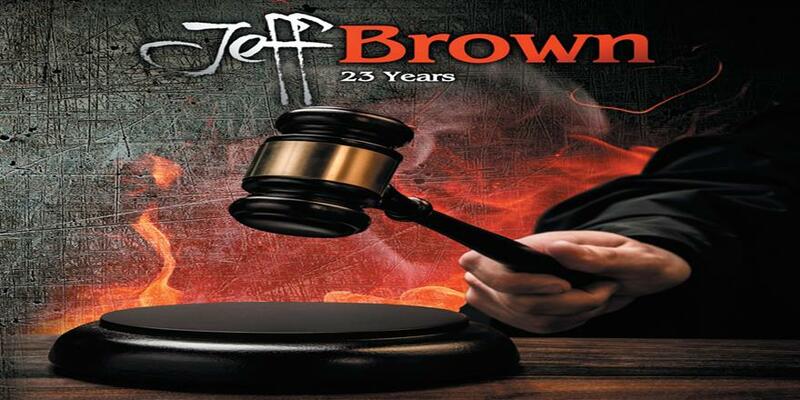 ’23 Years’ is a debut album from ‘Jeff Brown’ (Cats In Space, The Tremeloes, ex-Wildfire, ex-The Sweet). Jeff, born in London in 1960, has been around playing and touring with a plethora of artists including Ian Gillan, Bernie Marsden, John Coghlan, Gary Barden and Brian Robertson. His early influences include Deep Purple, Slade and Free. The album was Recorded at Arsis studios in Krefeld, Germany by Ralf Bronckhorst, Produced by Peter Brander (Royal Hunt, Cornerstone, Big Fat Snake) and Co-produced by Anders Overgaard. Track 1 – ‘Crazy World’. The track starts us off with a bang. A great catchy chorus and upbeat tempo provides a sign of great things to come. It also serves as a reminder of what a crazy world we live in. Track 2 -’23 Years’. The title track sees a much slower mellower beat. There seems to be a really personal message through these words: ‘Im Back, Back On My Feet I Wont Stay Down I Wont Be Beaten I Wont Have The Defeat After 23 Yrs After All We’ve Been Through I Wont Stay Down Beaten By A No One Like You’. Strong words but delivered with a real sense of victorious harmony, a great solo midway really makes this track stand out. Track 3-‘Casino Royale’. The track plays out just like a bond movie – shaken not stirred – with a hint of Deep Purple. There are some crunching guitar riffs and Hammond organ all held together by some thundering bass and dynamite from the drums. Track 4 -‘Contagious’. This features a mellow, slow acoustic intro, which suddenly bursts into life with screeching guitars and thumping bass. Not before long mellowing down once more to the sound of Jeff’s excellent vocals. There are some great licks and chops and this track really is ‘Contagious’. Track 5 – ‘Fallen Angels’. Rocking into deep orbit with tones from a purple past. There are some crunching licks and rolling thunder from the bass combining a foot-tapping drumbeat that will rock your socks off. There is a great Hammond interlude before an equally great guitar solo. Track 6 – ‘Once In Every Lifetime’. A feel good stadium rocker, with an upbeat tone. If you are not singing along to this one you are already dead. ‘Life’s No Rehearsal So When The Chance Comes Take It’. Track 7 – ‘When The Love Is Gone’. This track is an acoustic driven ballad. It is just like an eighties power ballad which will have tears streaming down your face within seconds. Featuring a great solo and some really soulful powerful vocals from Jeff who delivers with a passion. Track 8 -‘ Calling Me Calling You’. With a meaty riff and sing-along chorus the tempo rises again for this track. Featuring a great solo and meaty bass line this track certainly has the horns of approval. Track 9 – ‘Stay With Me’. Opening riff is reminiscent of a Rolling Stones track. This is a cracker with lyrics such as – “you look so hot why don’t you show me what you got”, “in the morning I’ll be gone so tonight I’m gonna take you home.” It is an excellent slice of tongue in cheek humorous rock, which I love. Track 10-‘Slipping Away’. The tempo again slows for this ballad with just a hint of the ‘Eagles’. The guitar solo is short but a stunner none-the-less. The vocals are bright, powerful and delivered with real passion so much so you feel it is driven from personal experiences. Track 11 – ‘Life Goes On’. 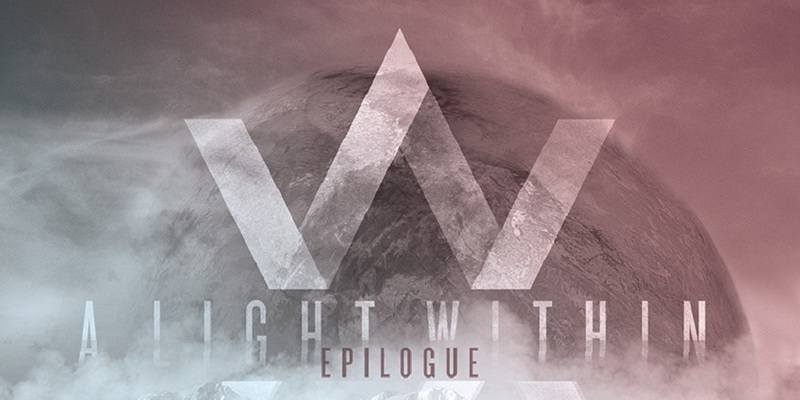 Is an epic that starts off as a mellow piano driven ballad. After 2 minutes the tempo rises slightly with a thud of drums and a screech of guitars. But soon mellows again into a fine solo. Keep a look out for the hidden track. This is an excellent debut that has been a long time coming. But certainly is worth the wait. Ahh, my first prog metal review for 2010…. Prog metal is always an interesting genre to write about as the term itself has gotten wider and wider, and fans have become even more loyal to the genre than in the past.